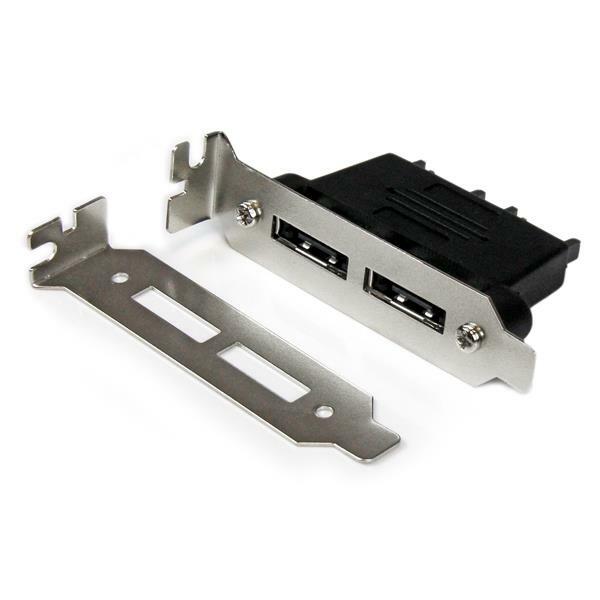 The ESATAPLT2LPM SATA to eSATA Plate Adapter (low profile/half-height) adds external data support to any existing Serial ATA (SATA) controller, enabling you to connect external SATA (eSATA) storage to a computer. With support for data transfer rates of up to 6Gbps, this external SATA plate lets you take advantage of the increased data integrity provided by external hard drives or RAID devices that support eSATA connections. Connecting your eSATA storage couldn't be simpler - just install this plate into an open I/O low profile slot on your computer and connect your cables to the Serial ATA connectors on your motherboard or controller card. 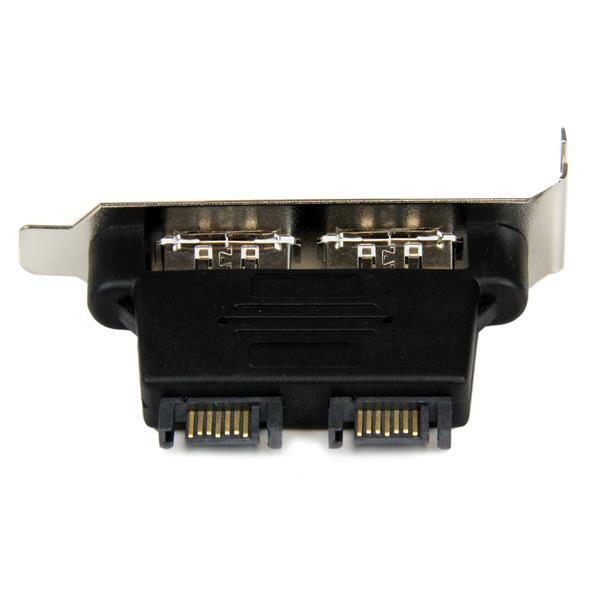 The SATA connector provides a secure connection to the motherboard or controller card, and is designed to take up minimal space inside the computer case, providing less clutter and increased airflow inside your case. 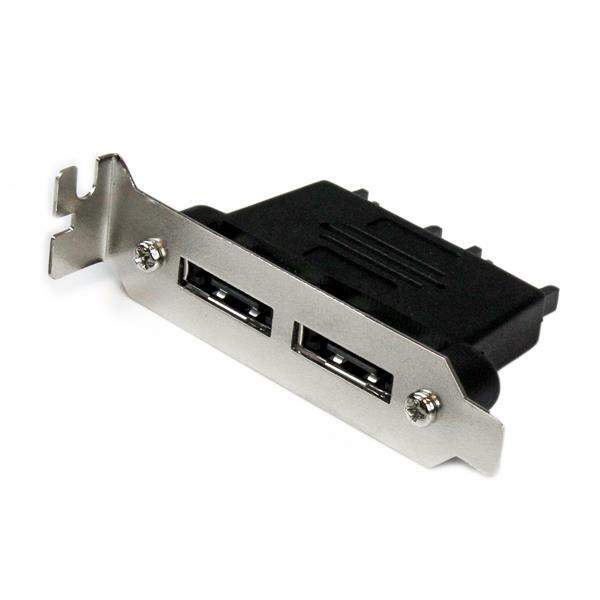 Like all of our cable products, the ESATAPLT2LPM SATA to eSATA Plate Adapter is backed by StarTech.com’s lifetime warranty.